Did you catch Raquel on NBC Latino? We are almost 100 days away from the August 28th Primary Election, only 75 days until early voting begins, and our campaign’s momentum continues to build! 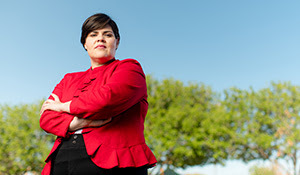 We are excited about this coverage, and it makes it just that much more important that we reach voters in LD 30 to let them know that in Raquel, they have a champion who will fight for them. My number one priority is to get Raquel to the finish line – but we cannot do it without you! And please reach out to me with any questions. We appreciate your continued support of our campaign! P.S. We are in our final push to gather nomination signatures. Join us this weekend to knock on doors!